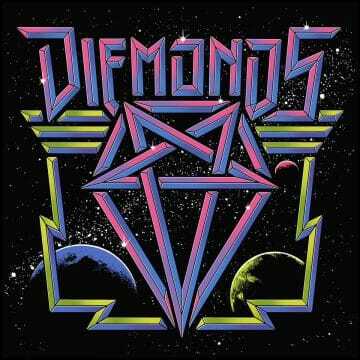 Canadian sleaze rockers Diemonds are about to digitally release their fourth album on August 10th. The group took pre-orders for limited edition vinyl (on July 11, 2018) and CD (on August 3, 2018) runs that were limited to 100 copies in each format. Not surprisingly, both limited edition runs sold out in less than half a day. “A million thank yous to everyone who bought or tried to buy a physical copy of the new Diemonds album. The CD version sold out in just eight hours while I was watching Bryan Adams on Friday nite. For everyone else, August 10th is when you’ll be able to hear the record on digital platforms. Things have changed a lot for the band and for myself and we wanted to go back to our roots and put out the kind of limited edition physical releases we love having in our own collections. And we put up the money ourselves to produce them. We came up with the idea on the fly and it was really fun for me. Thanks for the undying support.